The University of Queensland Diamantina Institute (UQDI) was established in 2007 and forms a major research centre within the Faculty of Medicine. The aim of the Institute is to develop a better understanding of the molecular and cellular basis of disease, and to translate that understanding into practical outcomes for patients. Based at the Translational Research Institute (TRI) at the Princess Alexandra Hospital teaching campus in Brisbane, UQDI has more than 300 researchers, clinical academics and students who work closely with hospital clinicians in the areas of cancer, immunology, genomics and other areas of translational medicine. UQDI has particular research strengths in skin cancer, cancer cell biology, cancer immunotherapy, vaccine development and nanotechnology, autoimmunity and the genetic basis of disease. UQDI has a mission of translating discoveries into better treatments and has a strong record of achievement, most notably in the development of cancer therapies: research at UQDI by Professor Ian Frazer AC FRS led to the development of the cervical cancer vaccine Gardasil. UQDI is the largest partner in the TRI, which is an extremely well-equipped translational biomedical research institute, with outstanding laboratories and core facilities for tissue imaging, microscopy, flow-cytometry, proteomics and in vivo models of disease. Its close affiliation with clinical units at Princess Alexandra Hospital provides UQDI with a significant strategic advantage in near-patient, translational research. 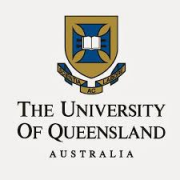 UQDI is part of The University of Queensland, one of the top Australasian universities, and internationally is ranked in the top 100 universities in all major independent rankings. UQDI academics are part of a vibrant and highly successful academic institution optimising their chances of research success. Details of the research interests of academic staff may be accessed on the Institute’s web site at http://www.di.uq.edu.au/research. This role will drive research that aims at defining the impact of bactericidal-inhibitory antibodies on Pseudomonas aeruginosa chronic infection using in vitro and in vivo approaches. The role requires a skilled molecular microbiologist to genetically manipulate Gram negative bacteria, as well as having experience in immunological techniques. The successful applicant must possess a PhD in the area of Microbiology, Molecular Biology or related area and have expert knowledge in molecular microbiology techniques with Gram-negative bacteria, ideally Pseudomonas aeruginosa, including genetic manipulation. This will be evidenced by relevant publications as lead author in high-quality peer-reviewed international scientific journals. Experience in immunoassays such as ELISAs and flow cytometry, laboratory skills, meticulous record keeping, and high standards of research ethics and laboratory safety is essential. The person must also be motivated and self directed with the ability to work collaboratively with colleagues, present and discuss high quality research work as well assist in training and supervision of students and staff. The University of Queensland values diversity and inclusion and actively encourages applications from those who bring diversity to the University. Please refer to the University’s Diversity and Inclusion website (https://staff.uq.edu.au/information-and-services/human-resources/diversity/commitment) for further information and points of contact if you require additional support. This is a full-time, fixed term appointment at Academic level A for 12 months. The remuneration package will be in the range $67,542 - $90,982 p.a., plus employer superannuation contributions of up to 17% (total package will be in the range $79,024 - $106,448 p.a. ).